After 4pm, complimentary parking for Dauphin's guests is available in the RSA Trustmark Bank parking garage. This garage is accessed via the St. Joseph side of the building. For guests dining before 4pm, there is ample street parking available outside of the RSA Trustmark Bank building as well as valet service at the nearby Renaissance Battle House Hotel. 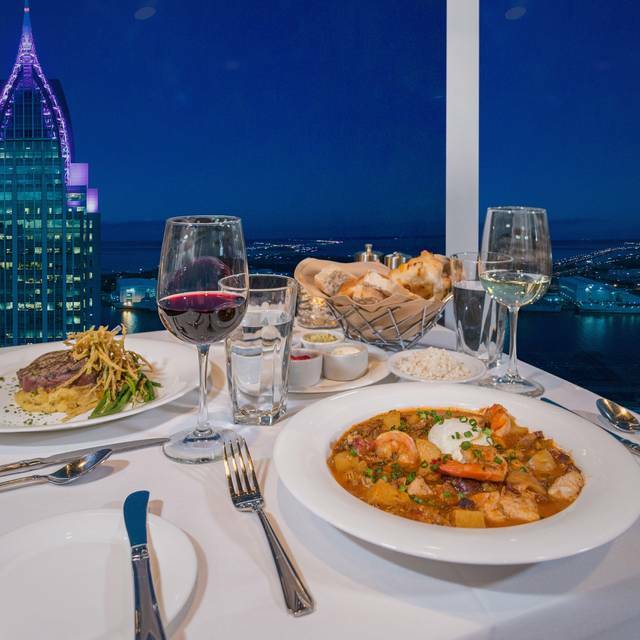 With a spectacular panoramic view of Mobile Bay high atop the just-restored Trustmark Bank Building, Dauphin’s is downtown’s newest restaurant - offering “classic coastal” cuisine with hints of Creole and the Caribbean. Partner/Executive Chef Steve Zucker leads a seasoned hospitality and culinary team from renowned dining destinations around the world. 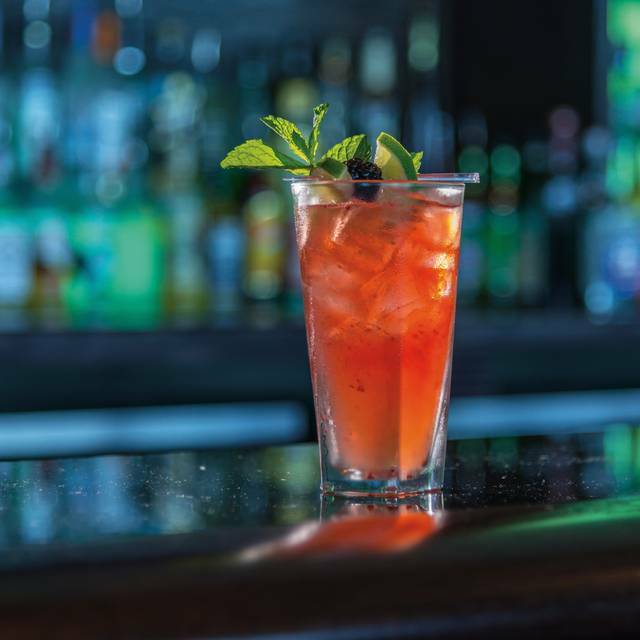 Meet friends for classic or craft cocktails over a sunset vista spanning 75 nautical miles. Enjoy a menu that changes seasonally, with an emphasis on farm to table and local ingredients from dining table to bar. We’re zealous in finding the freshest local produce, seafood, meats and more – mixed with herbs from our very own rooftop greenhouse. 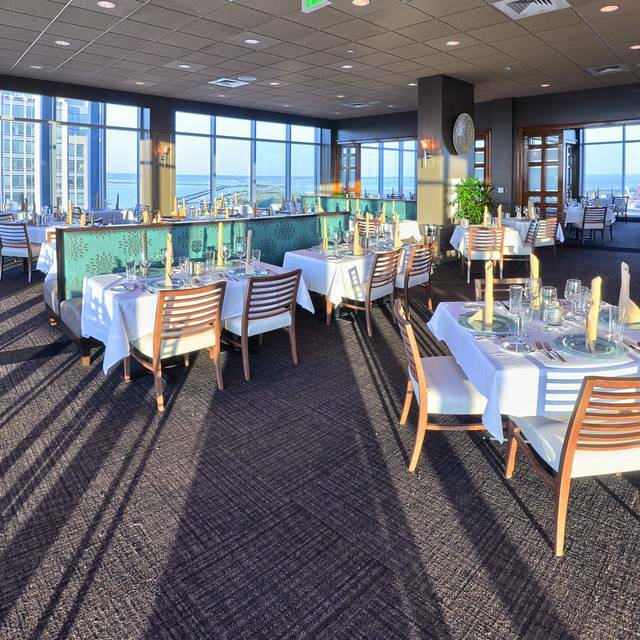 Dauphin’s features the Bay’s first and only in-kitchen “Chef’s Table” with award-winning Partner/Executive Chef Steve Zucker and our most remarkable view. Fine Dining at its Best! 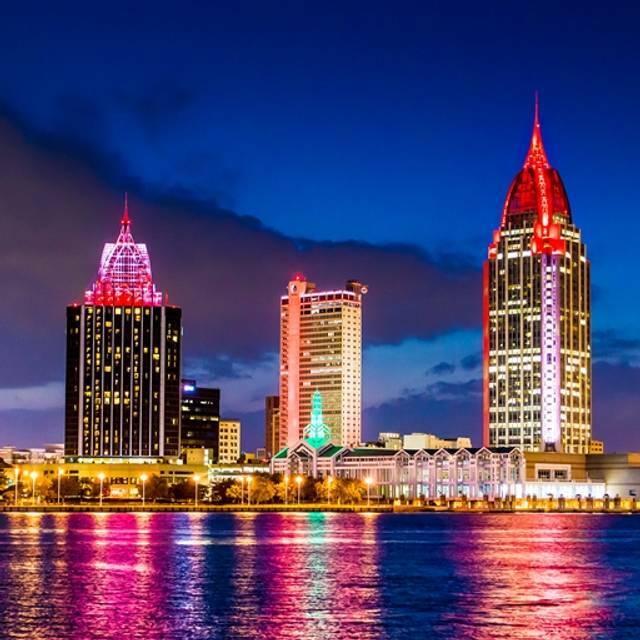 The view of Mobile Bay and the city of Mobile from this restaurants location is enough to make this place the top dining experience in Mobile. But the food is even better and the service excellent! Definitely referring this to all my friends and out of town visitors. Everything was flawless, especially our waiter, Stevie!! Planning on coming back for Mother's Day. This was our first visit to Dauphin's. We'd heard good comments from friends and online reviews. Dauphin's lived up to it's reputation. For starters, the view is fantastic. Doesn't matter if you're looking at the Delta or out over the bay. We started out with drinks, which exceeded expectations, then had the shrimp and fried green tomato appetizer, which was excellent. Rather than going into a bunch of detail about our entree and dessert, it's probably best to just say that this was one of the best 90 experiences we've ever had. And we've had a lot of them. from beginning to end, everything we had was consistently good. Very good, in fact. The service is excellent, and I honestly don't think you find a better value in Mobile. Absolutely the finest service, food and atmosphere for our anniversary. It was great. Really enjoyed the food. We look forward to dining here again. The service was very slow. I think they were short staffed. Just slow. Definitely going back. Great ambiance, great price, perfect view. Absolutely amazing. Nice, beautiful view, and nice atmosphere. The value, quality, and taste of the food was on point. 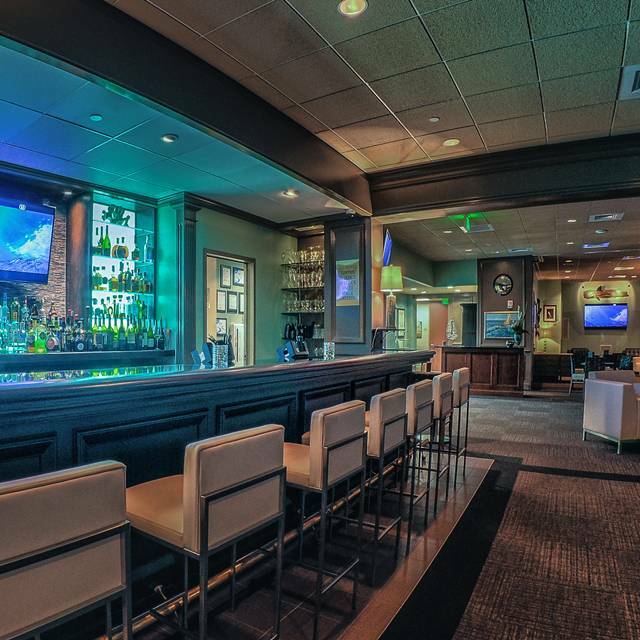 Excellent ambiance, Restaurant week great value, excellent service, love this restaurant! I dined during Restaurant Week and found the entire experience excellent. There were numerous choices for each of the 4 courses and the serving sizes were the same as they would have been under regular pricing. I truly enjoyed myself and the sentiment was the same for my entire party. We celebrated our anniversary at Dauphin’s this past Monday. The restaurant is beautifully decorated and is very welcoming. 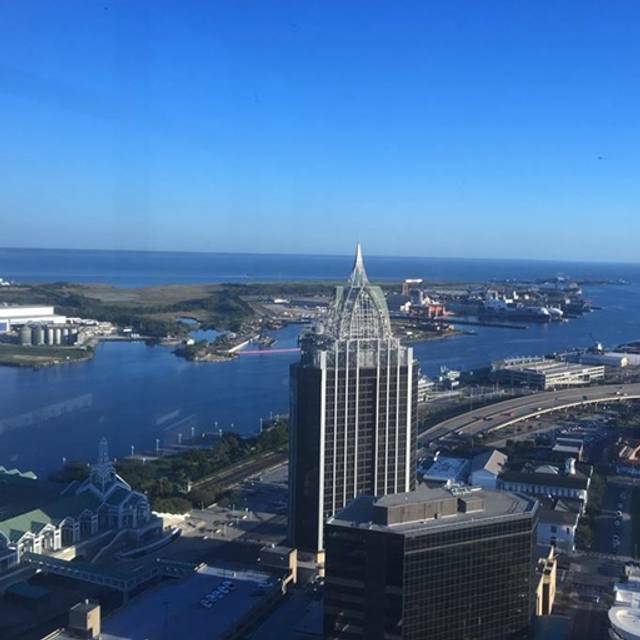 There is a spectacular view of Mobile River and bay including the docks and bay way. We had their four course special which was delicious. The Poke and the Beef Tornedos were our favorites. We finished our meal with the flourless chocolate cake which is sinfully good. Overall a very nice evening with a beautiful atmosphere. and seated near the bar while our table was prepared. Beautiful views and drinks were very reasonably priced. Our table was then ready and we had a choice of 4 fish of the day specials. Also a beef tenderloin was offered. We ordered appetizers, shrimp cocktail and alligator tail. Both were delicious. Our server was very friendly and attentive. Highly recommend. Excellent dining experience. Great meal, fair prices, and very pleasant atmosphere with excellent service. Third time being here. You absolutely can’t beat the view. Service is top notch as usual and the food is good as well. They offer dinner with a great dessert menu as well. Brunch is a great time, with a musician playing and a great mix of brunch items on the menu. I do recommend that if you’re in Mobile and want an experience with great food and impeccable service, go to Dauphins. It was lovely being there. Wonderful food, perfect service and stunning views. Your Mobile Restaurant Week special was fabulous! Fantastic service and oh what a view!! stuffed flounder was a few years older than I am, the West Indies salad must have been made in West India...view is great, staff is friendly and the dirty martini was good..
My dining experience at Dauphins was fabulous, from the view, to the service, to the meal. I have already referred to friends, and look for to my next visit! Everything within the restaurant was perfect. The only issue that I had was upon entering the restaurant and hour early, I was told that the restaurant was booked for the night. I was a little confused because I had already booked a table At 8:45 PM. However, as the night became young we enjoyed the live music and the city view. The servers were phenomenal. I give this restaurant Five stars, simply excellent. Restaurant week us wonderful & great value. Food is delicious & portions are rather large. Was disappointed that the chocolate cake was not available for dessert, they ran out it’s so delicious! Everything was top drawer. Wonderful food and service and terrific view over the Mobile River. It certainly was a highlight of our visit to Mobile. We really enjoyed the dinner and the ambiance! Nice to visit this great restaurant again! 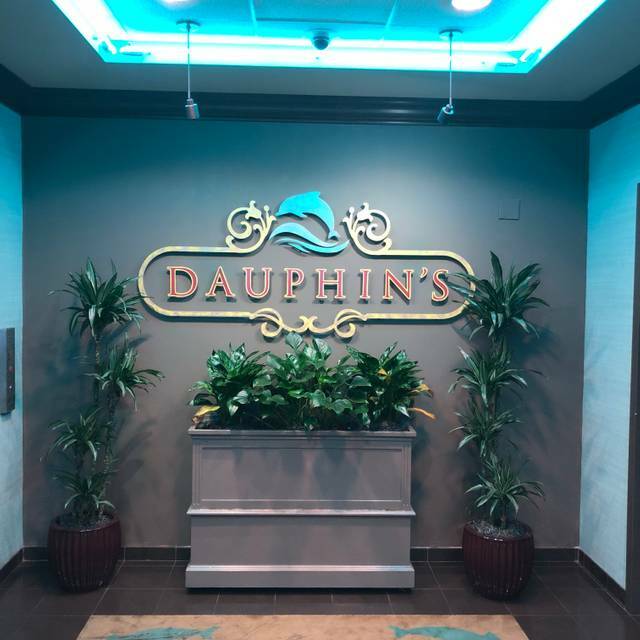 Visiting Mobile on business, and a colleague recommended Dauphin's for lunch. The incredible views made Dauphin's an enjoyable experience. I will be back. Amazing view, fabulous food, fantastic service! Best house salad around! Amazing service and high quality food!! Worth every cent! We brought friends from out of town. It was a wonderful way to show them Mobile on a rainy day. Very pleasant meal! Dauphin’s lunch is terrific. 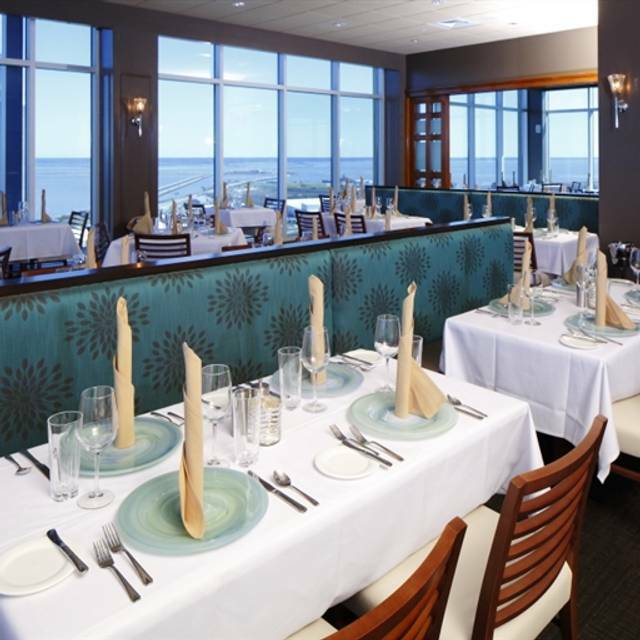 Great selections well prepared combined with outstanding service with the best view in Mobile. What a delightful experience. We enjoyed the beautiful views which surround the restaurant, food was great and the servers were charming! We are visiting from Charleston, SC to visit family and found everything about our evening here to be perfect. Perfect. Wife's birthday could not have been better. Food and service fantastic. Nice view. Nice Music. Excellent fair and service. I will be back. Good bloody mary. The brunch on Sunday was exceptional. I found the staff to be accommodating as I was allowed to substitute fruit for grits. Service was excellent although the server did not hover but seemed to know when to check. 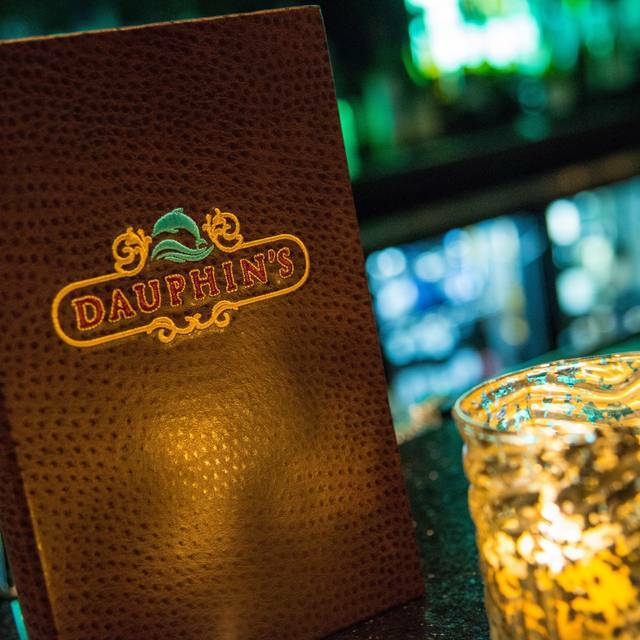 I recommend Dauphin's without reservation. Great service and atmosphere. View was beautiful. Food was average, nothing special.